If you don't know, Cole Sprouse of Suite Life Of Zack And Cody fame recently returned to the acting world. And Phill Lewis, aka Mr. Moseby, is his biggest fan, according to MTV. Now, probably to fill all of our nostalgic hearts with joy, Lewis and Sprouse reunited right before the new episode aired tonight, March 2. Sprouse plays Forsythe “Jughead” Jones III on The CW's Riverdale, which is based on Archie Comics characters. 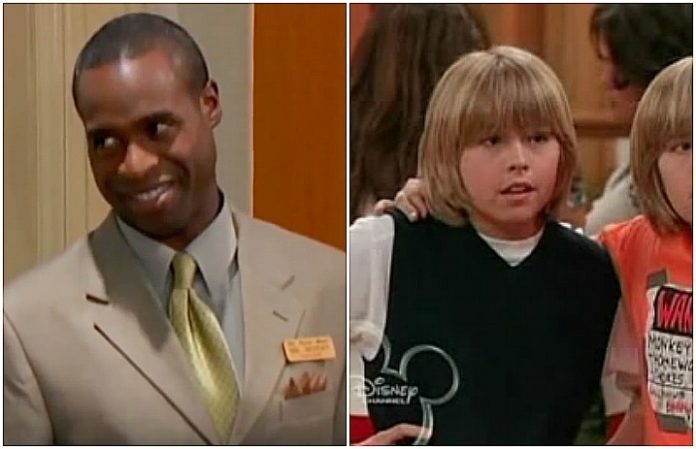 Suite Life Of Zack And Cody aired on Disney from 2005 to 2008 before it transitioned to Suite Life On Deck. Sprouse starred alongside his twin brother, Dylan.